Custom Cyprus home has the look and feel of a true lake home in the mountains. The exterior walls and room ceilings are completely made out of Cyprus planks. The home has a 26 foot vault from front to back in the living rm and kitchen with a stone fireplace separating the rooms. The breathtaking views of the lake are captured in the wall to ceiling windows and French doors. The master has its own study/library attached plus a sunrm on the lake side. Full ba + walk in closet. 2 guest bedrms w/access to the hall ba. Den plus 2nd kit and 2 more bedrms on lower level. 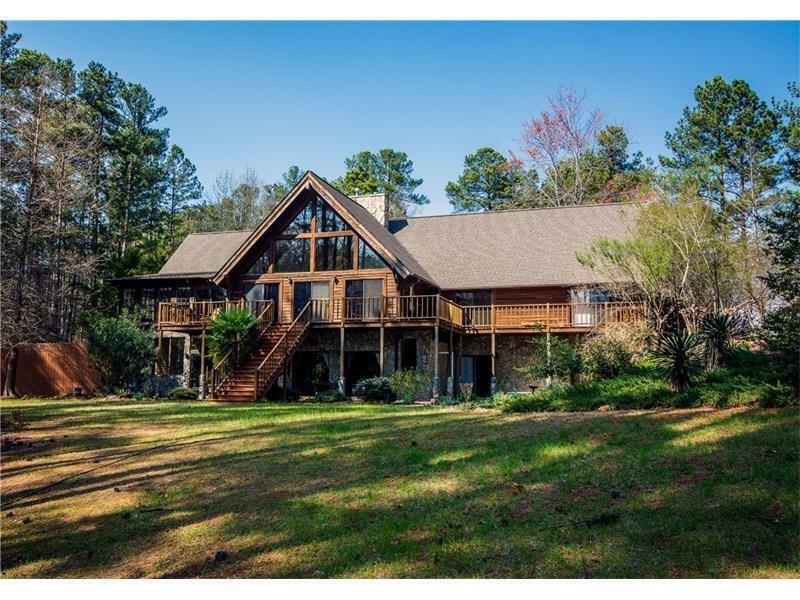 90 Melody Farms Drive, Hartwell, GA 30643 (MLS# 5967584) is a single family attached property with 5 bedrooms and 3.00 bathrooms. 90 Melody Farms Drive is listed for sale at $749,900.00. To view more Atlanta real estate and local neighborhood information, contact Ro Preisinger, or visit ColdwellBankerHomes.com.